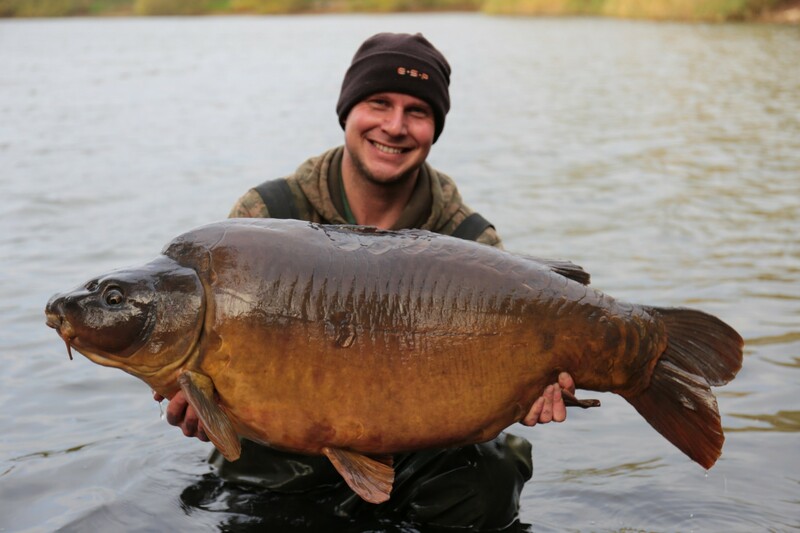 Prolific carp catcher Kev Hewitt gives us an excellent overview of the Bluebell Lakes complex near Peterborough – one of the countries premier big carp day ticket fisheries. ‘I first set foot on the Bluebell complex back in 2013. I had heard lots about it but with it being over 2 hours away it was off the radar until one Saturday afternoon I decided off the cuff to just pack the car and make the journey. Little did I know that I would instantly fall in love with the place and would make the journey countless times over the coming years. My love affair started on Swan Lake and to be honest I find it hard to drive past it and fish the other lakes. For some reason it just suites my style of angling and I thoroughly enjoyed my time spent on the lake. Over a couple of years I amassed an incredible album of wonderful carp. The lake itself is around 12 acres in size and up to 220 yards across at its widest point. I estimate there to be around 150 carp present with well over 30 thirties, a number of forties and three fifties. The main target fish being Dave at 53lb+, the illusive Z fish at 50+ and one of the commons has been over 50lb on a number of occasions. Amongst other specimens, there is also a mid forty grass carp. However it is not just specimen carp that reside in Swan, it is also famous for its big catfish with around 30 present with the biggest fish topping a scale breaking 120lb. Tactics wise for Swan, well pretty much everything will work on its day. Early in spring zigs can account for a few fish and when it warms up they love a floater. The lake can get a little weedy at times and my most successful tactic was to fish a bed of particles spodded tightly onto a clear spot with all three rigs fished on one spot. The hinged stiff rig has served me well on the venue. The lake itself is far from peggy too. They get caught all over. It really is just a case of getting on the fish on the day and fishing effectively. Although I do not use them myself, baitboats are allowed on all of the waters on the complex and if I had to give one tip for baitboat users, I would strongly advise to plumb around for a spot first before dropping your bait. 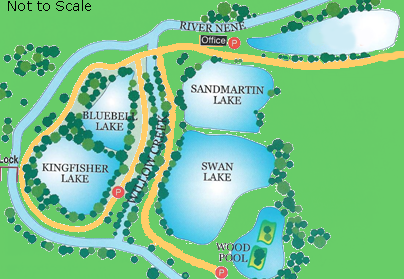 There are a total of five lakes on the complex and perhaps the most notorious of them all being Kingfisher, formerly home of the biggest common in the land, Benson. 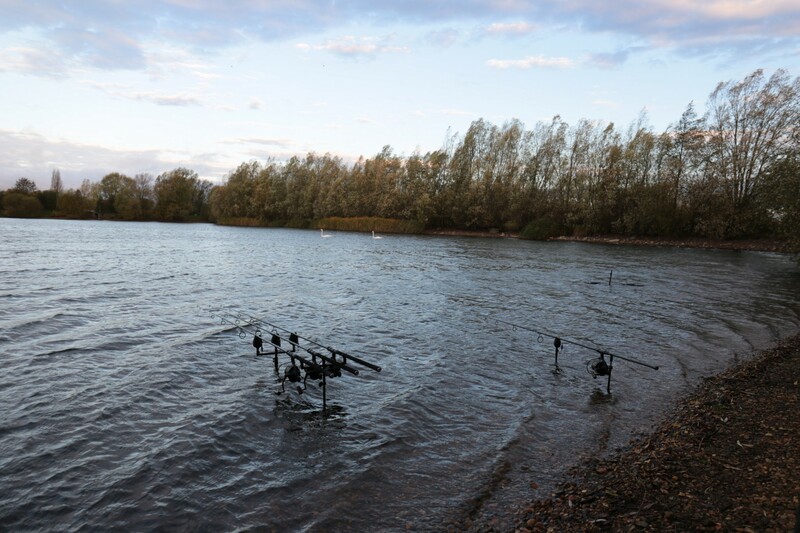 The lake itself is a lot smaller than Swan and contains around 100 fish, of which around 40 are over the magical 30lb mark with a staggering 10 fish over 40lb. Although I have not actually got round to fishing Kingfisher yet, I do have some friends that fish it regularly and it seems that boilie fishing is the way to go on there. Again it can get weedy so finding a clear spot is key. With its incredible stock, I can’t see it being long before I drive past Swan and get the rods out on Kingfisher. If it is bites you are looking for then Bluebell Lake and Mallard are the ones to head for. Bluebell is probably the most diverse lake on the complex with wonderfully beautiful overhanging willows, Lilly lined margins and lots of nooks and crannies for the carp to reside. Due to this the margin fishing can be great fun. The lake holds specimens of many species including Tench, Bream, Perch, Chub, Roach and Rudd. On a hot summers evening I have often spent an hour or two floater fishing on Bluebell and have managed 3 or 4 off the top in quick succession on a few occasions. Although the average size of fish is a lot smaller than the big fish waters, there are still a good number of thirties to over 35Lb. Mallard is the biggest lake and the most prolific on the complex at 20 acres in size with a stocking of well over 1,000 carp to upper thirties. The average size is over the 20Lb mark. The action can come thick and fast at times with many different tactics working. Single hookbaits fished on a chod rig at range produces bites but it is when you can get them going over beds of bait when big hits of fish are pieced together. The final water on the complex is Sandmartin. It is hard to say exactly how many fish are in there but one thing for sure is that there are a number of stunning thirties. Sandmartin is perhaps the quieter of the lakes on the complex. To make the complex complete there is a decent size tackle shop on site in the Benson Lodge as well as newly installed showers and toilets. The gates to the complex are closed and locked at night making it very secure and I would suggest checking the Bluebell website for opening times before you travel. As for rules, the main ones are down to fish safety. A large padded unhooking mat is required as well as a minimum 42” landing net. It is strictly barbless hooks only and there is a ban on nuts and trout pellets. Maggots are also banned on Swan and Kingfisher. A minimum of 12Lb line is required but I would strongly recommend a decent 15Lb line on the big fish waters due to the weed. Access around the complex is superb and I would say you can drive to over half the pegs. However you are required to park in the lodge car park and purchase you ticket and walk round and find a swim before driving to it to unload. The complex caters for anglers of all levels, whether you are a beginner just wanting to get some bites and catch your first twenty to the more serious angler who wants to spend time chasing big carp. I have certainly enjoyed my time on the complex and am looking forward to many more trips in the future’. Jack Reid – No boat, No buzz! Copyright © 2019 ESP Carpgear. All Rights Reserved.